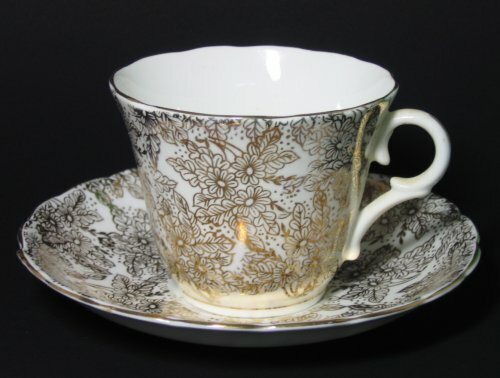 Vintage Colclough White Gilt Tea Cup and Saucer - Floral Gilt! 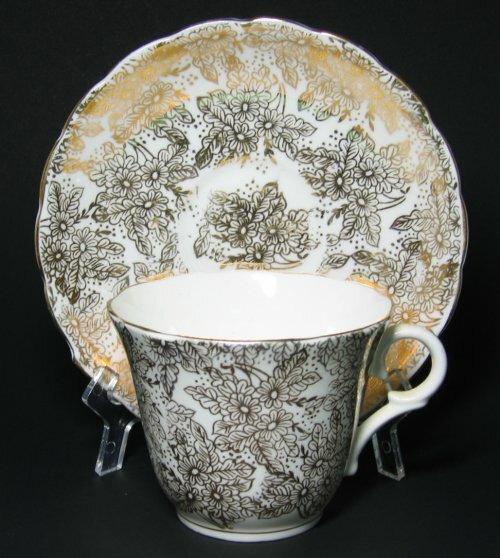 FABULOUS antique white background with heavily decorated floral gilt on this beautiful COLCLOUGH set. The cup and saucer are in very good condition with no evident gold wear. 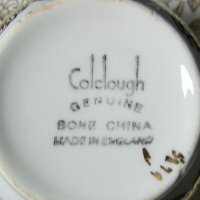 The backstamp is from H. J. Colclough Longton prior to the establishment of Colclough China Ltd in 1937. Pattern number 5879 H. The backstamp resembles those used from 1935-1937 by H.J.Colclough. The cup measures 2 3/4" high and 3 1/2" wide. The saucer measures 5 1/2" wide with a rounded edge. A WONDERFUL SET lavishly decorated in floral gilt.